VANCOUVER­ – Central 1 Credit Union (Central 1) today reported its first quarter 2018 financial results and highlights from operations, including assets of $19.5 billion, up 8.3 per cent. In the first quarter, Central 1 continued its commitment towards transformational change, and its vision to be the national partner of choice for financial, digital banking and payment solutions. With a focus on launching its new three-year strategic plan, A Bold Way Forward, Central 1 emphasizes its scale and expertise as a source of competitive advantage for Canadian credit unions. Financially, Central 1 had a strong first quarter of 2018 reporting a profit of $41.0 million, up $26.4 million or 180.8 per cent from the same period last year. For the quarter ended March 31, 2018, Central 1 recognized a gain of $23.7 million from disposing its interest in the insurance operations of The CUMIS Group Limited (CUMIS) and a gain of $19.3 million relating to the restructuring of Interac’s operations, which closed on January 31, 2018. These gains were partially offset by increased costs incurred to support strategic initiatives including the User Experience (UX) Platform. Profit of $41.0 million, up 180.8 per cent from $14.6 million. Return on average equity of 14.8 per cent, compared to 5.4 per cent. Assets of $19.5 billion, up 8.3 per cent from $18.0 billion. Tier 1 capital ratio of 32.3 per cent, compared to 34.6 per cent. B.C. system’s net operating income of $119.7 million, up 39.0 per cent from $86.1 million. B.C. system’s assets are $79.1 billion, up 8.8 per cent from $72.7 billion. Ontario system’s net operating income of $67.7 million, up 26.5 per cent from $53.5 million. Ontario system’s assets are $50.7 billion, up 10.5 per cent from $45.9 billion. 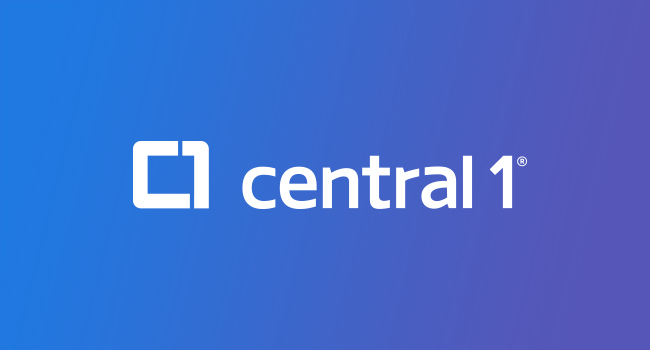 Central 1 reported a profit before tax from continuing operations (excluding one-time items) of $10.3 million, down from a profit of $11.4 million reported a year ago. Net financial income decreased $8.0 million compared to the first quarter of 2017, primarily due to an $11.9 million decrease in net realized and unrealized gains that was partially offset by higher interest margin. Interest margin increased $4.1 million compared to the prior year, largely driven by the widened net interest spread and the growth in average net assets. Three interest rate hikes by the Bank of Canada between July 2017 and January 2018 had a positive impact on interest margin as the weighted average yield on assets increased relative to the weighted average cost of liabilities. At March 31, 2018, Central 1’s consolidated borrowing multiple was 13.1:1 compared to 12.4:1 at December 31, 2017. At the end of the first quarter of 2018, Central 1 issued 425.9 million Class F Shares at a price of $1 per share and redeemed 378.1 million of its Class A Shares with a redemption value of $1 per share. As a part of the share restructuring, Central 1 also redeemed or reacquired 750 thousand of its Class E Shares with an aggregate value of $75.0 million. This restructuring resulted in net capital of $27.2 million returned to Class A members. The earnings retained during the first quarter of 2018 partially offset by this share restructuring brought total equity to $1,141.4 million, up $22.3 million from December 31, 2017. Central 1 shifted its approach to delivery of its UX Platform. Together with UX Platform leaders, client Champions, our Board and Technology Committee, we made the strategic decision to prioritize delivery of the UX Platform for mobile, using our partner Backbase’s out-of-the-box mobile app solution. Committed to building best-in-class solutions, leveraging consultation and growing engagement with clients, we’ve increased our focus on meeting client needs and industry trends. A new credit card offering, when the credit union National Credit Card Program and Collabria announced the launch of an important new partnership that will provide new credit card products for credit union members, administered by Central 1 with an executive oversight committee of credit unions that participate in the program. Over 210 Canadian credit unions are expected to be able to offer this new credit card program to their members through 2018. In March 2018, Central 1 and The Co-operators Group Limited (The Co-operators) announced a change in their partnership to strengthen the core businesses of both organizations, with The Co-operators acquiring Central 1’s interest in the insurance operations of CUMIS. Creating a strong, values-based wealth management alternative for Canadian credit union members, Aviso Wealth Inc. (Aviso) was formed in April through an agreement to merge the businesses of Credential Financial Inc., Qtrade Canada Inc. and Northwest & Ethical Investments LP. Aviso Wealth is now one of Canada’s largest independent national wealth management firms providing best-in-class wealth management products and services to more than 300 credit unions across Canada. The network of B.C. credit unions collectively reported net operating income of $119.7 million in the first quarter of 2018, up $33.6 million or 39.0 per cent from the same period in 2017. Growth resulted from higher net-interest and non-interest income, which outweighed higher non-interest expense. Combined assets of the B.C. system was $79.1 billion at the end of March 2018, up 8.8 per cent year-over-year. Asset growth was led by increases in personal mortgages of 9.3 per cent and commercial mortgages of 12.5 per cent. Liability growth was led by increases in non-registered term deposits of 11.3 per cent, non-registered demand deposits of 5.1 per cent, and borrowings of 23.9 per cent. The B.C. system’s regulatory capital as a percentage of risk-weighted assets was 14.7 per cent at the end of March 2018, down 13 basis points from a year ago. The system’s return on assets was 0.6 per cent annualized in the first quarter, up 14 basis points (bps) year-over-year. The Ontario system reported net operating income of $67.7 million in the first quarter of 2018, up $14.2 million or 26.5 per cent from the same period in 2017. Growth resulted from higher net-interest and non-interest income which outweighed higher non-interest expense. Combined assets of the Ontario system at the end of March 2018 rose 10.5 per cent year-over-year to reach $50.7 billion. Increases in residential mortgages of 15.2 per cent and commercial loans and mortgages of 12.1 per cent led the asset growth this quarter. Regulatory capital as a percentage of risk-weighted assets was up from 12.8 per cent a year earlier to 13.3 per cent in Ontario at the end of March 2018. The Ontario system’s return on assets was also up year-over-year, reaching 0.54 per cent annualized in the first quarter, up seven bps. Central 1 is a preferred partner for financial, digital banking and payment products and services – fueling the success of businesses across Canada. With $19.5 billion in assets, we leverage our scale, strength and expertise to power progress for more than 300 credit unions and other financial institutions, enhancing the financial well-being of more than 3.4 million customers from coast to coast. For more information, visit www.central1.com. This press release contains forward-looking statements based on assumptions, uncertainties and management’s best estimates of future events. These include, without limitation, statements contain the words “may,” “will,” “intends” and “anticipates” and other similar words and expressions. Forward-looking statements are based on the opinions and estimates of management at the date the statements are made. Actual results may differ materially from those currently anticipated. Securityholders are cautioned that such forward-looking statements involve risks and uncertainties. Certain important assumptions by Central 1 in making forward-looking statements include, but are not limited to, competitive conditions, economic conditions and regulatory considerations. Important risk factors that could cause actual results to differ materially from those expressed or implied by such forward-looking statements include economic risks, regulatory risks and other risks detailed from time to time in Central 1’s periodic reports filed with securities regulators. Given these risks, the reader is cautioned not to place undue reliance on forward-looking statements. Central 1 undertakes no obligation to update or revise any forward-looking statements, whether as a result of new information, future events or otherwise, except as required by applicable laws.